Termina Cosplay (Shayna Polomchak) is a professional prop maker, master level craftsman, and published cosplayer and model from Indiana. 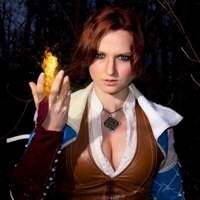 She has won numerous professional awards for her costuming and loves to help other cosplayers through her written tutorials and cosplay related panels. She is also an experienced cosplay contest judge!